Supporting youth in Surrey, Cloverdale, and Delta to exit a lifestyle or situation where they are being sexually exploited. The SEY program supports youth to exit a situation or lifestyle in which they are being, or are at risk of being, sexually exploited. SEY workers arrange to meet with youth in their communities. The length of service is based on each youth’s needs. It can range from one to six months, with the possibility of an extension. Hours are also flexible to accommodate the youth’s needs. In 2013, the majority of the youth involved responded that they had a greater connectedness to services, community, school and/or family at the time of discharge. A helping service professional, friend or parent can make a referral to the Pacific Community Resources’ SEY Program by completing and submitting a referral form. Youth may also self-refer. 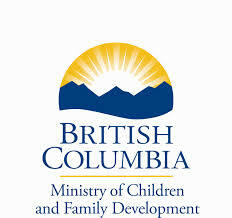 Referral forms and brochures are available by contacting one of the Surrey Youth Resource Centres. Fill out the attached form and one of our workers will be in contact with you soon. HAS THIS REFERRAL BEEN DISCUSSED WITH THE PARTICIPANT? Please fill out information for the programs that relate to the participant needs. 1. Custody & Condition Supervision Order: for 1st or 2nd degree murder or other presumptive serious violent offences. ALL INFORMATION CONTAINED IN THIS DOCUMENT IS STRICTLY CONFIDENTIAL To refer youth to GYRC or NYRC Resource Rooms or if you would like us to send youth information about accessing resources for employment, connections to community resources, Youth Centre social and recreational programming or drop in services please let us know their email and we will ensure they have access to our calendar.